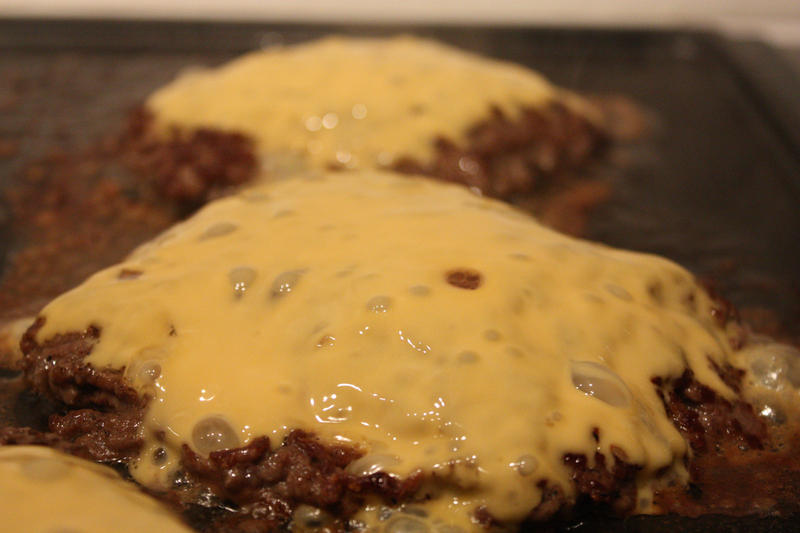 These burgers are my absolute favorite to make year round. I’m not big on the super thick home-made style burger full of onions and spices. I like my burger meat thinish and tasting like meat. Then I cover it with mustard, ketchup, relish, mayo, tomato and sometimes dill pickel. Maybe I’m not such a purist after all. Bo was nervous the first time I said I was making these, but he was a quick convert. Sure, we still BBQ in the warm weather for a change sometimes, but it snows here a lot, and who wants to go 6 months without a decent burger! Did I mention that this will taste just like the burger from that little mom and pop dinner that’s been in business for 80 years? It will. The key is to steaming it for the last couple of minutes, and getting a few crispy pieces on the edges from cooking on top of it’s own fat. Ignore how gross that sounds and remember: crispy edge bits! 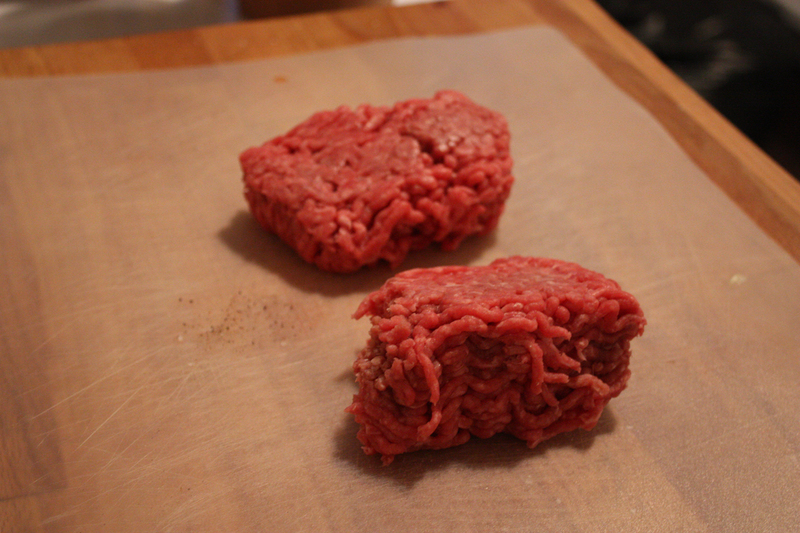 Roughly split the ground beef into four equal portions (just two shown). Roll each portion out between plastic wrap until about ½” thick. Generously salt each side with salt and pepper. 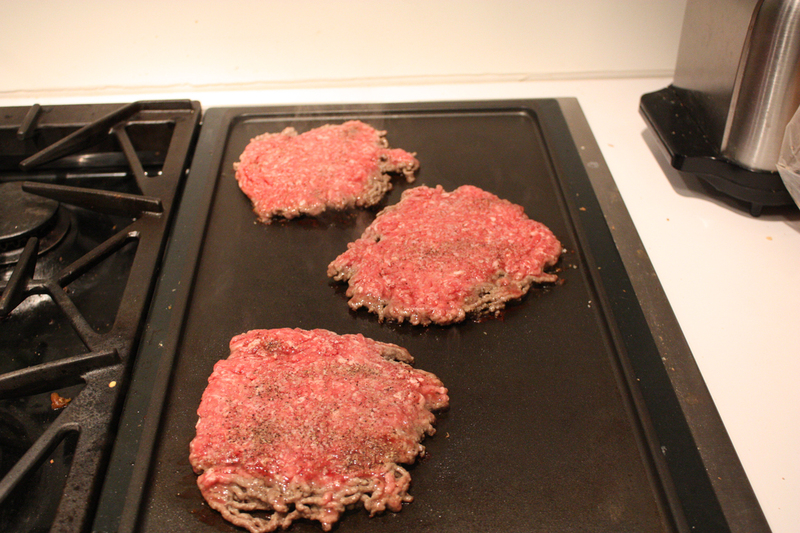 Put the burger on the griddle and cook for 3 minutes on the first side. Flip. 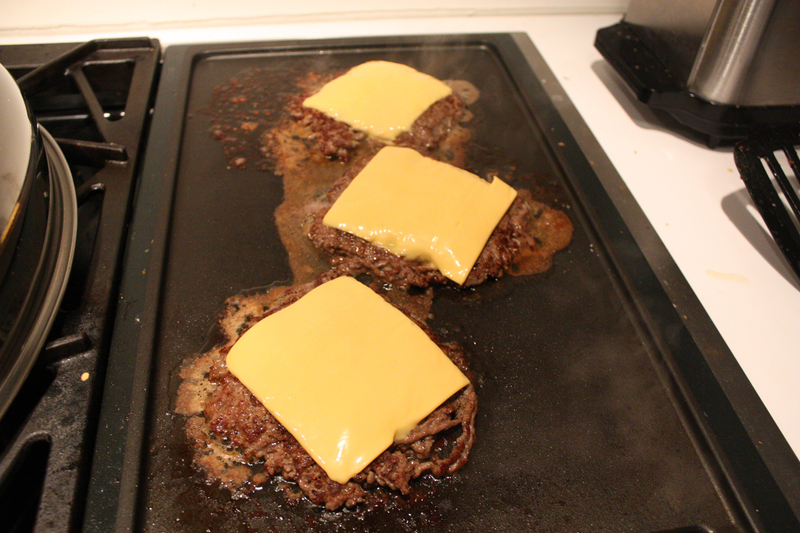 Cook for 1 minute on the second side, then top with cheddar cheese and cover for another 1 to 2 minutes. 3 minutes on first side. Flip, then cook for 1 minute. Cover to steam and cook for 2 minutes. 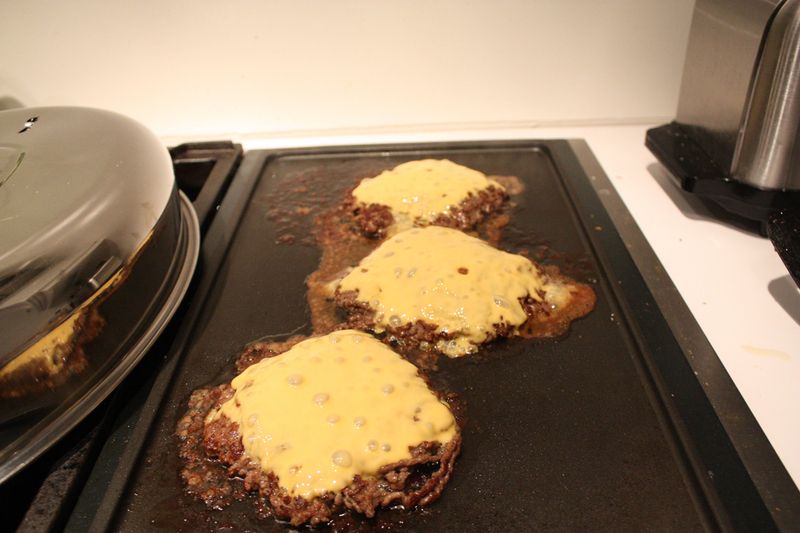 Pre-heat your griddle (or frying pan) to medium-high heat. 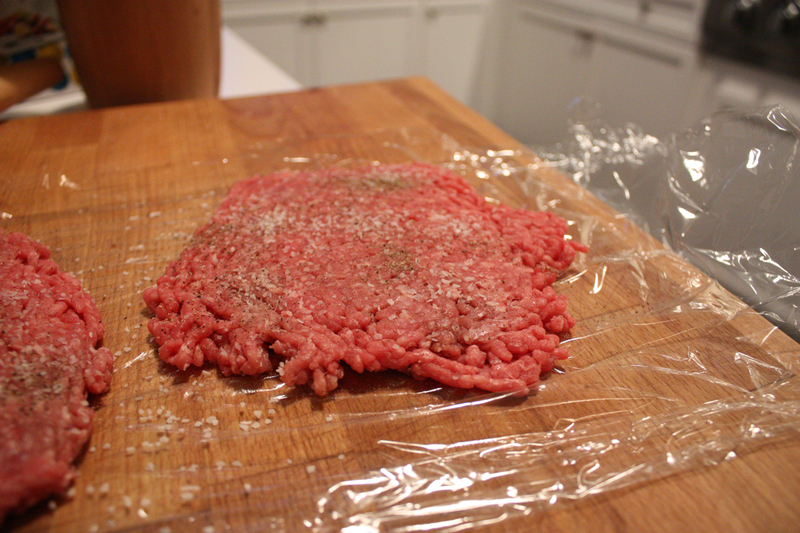 Roughly split the ground beef into four equal portions. 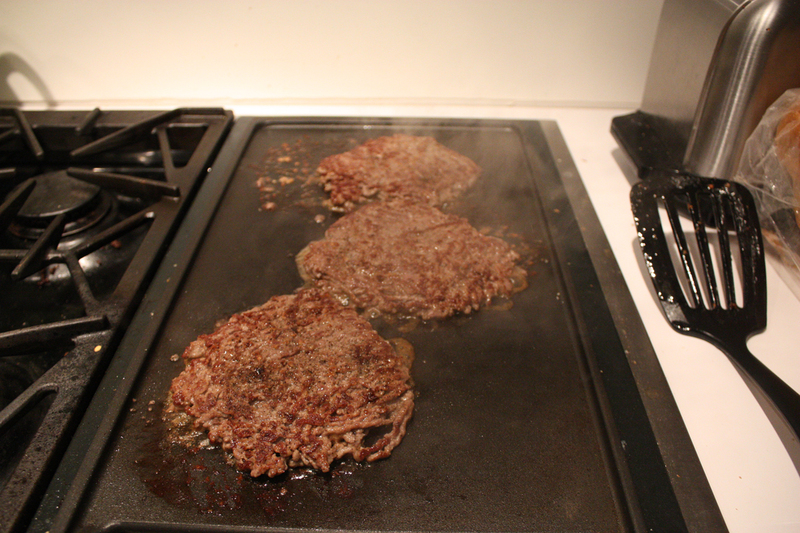 Put the burger patty on the griddle and cook for 3 minutes on the first side. Flip. Cook for 1 minute on the second side. 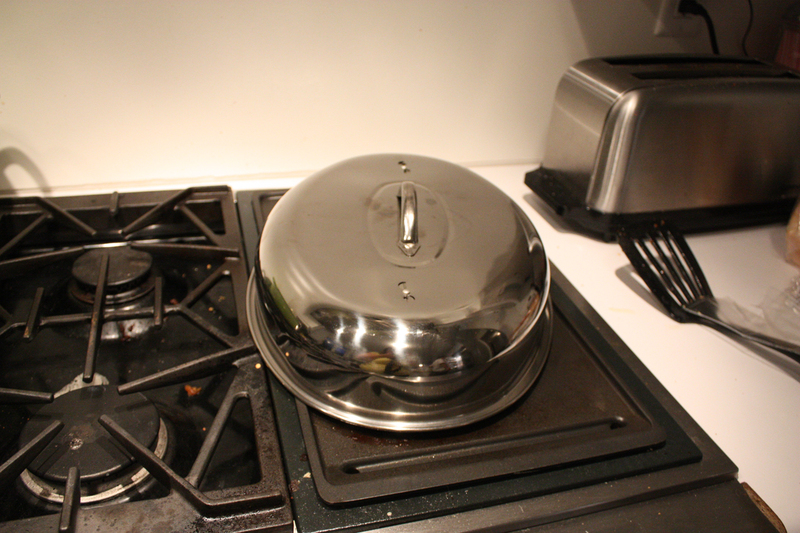 Top with cheddar cheese and cover with a large lid (like a the lid for a roasting pan) for another 1 to 2 minutes.